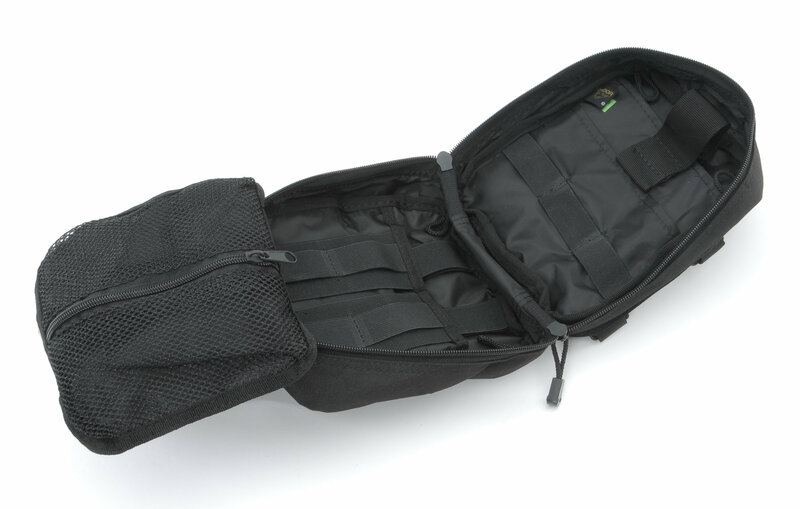 This First Aid storage bag consists of several individual pouches to store first aid essentials. 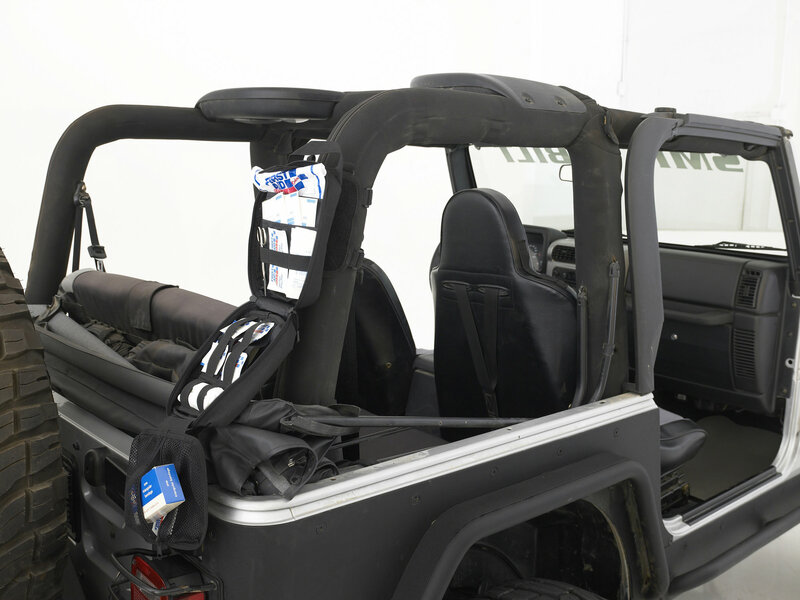 Attaches to the roll cage in (3) locations. 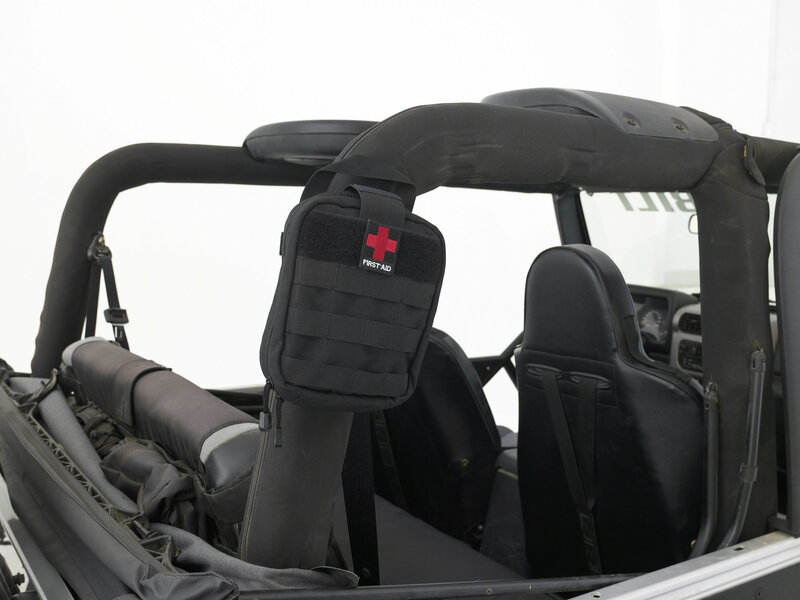 Can be stored in a easy access location for emergency needs. A must have item! 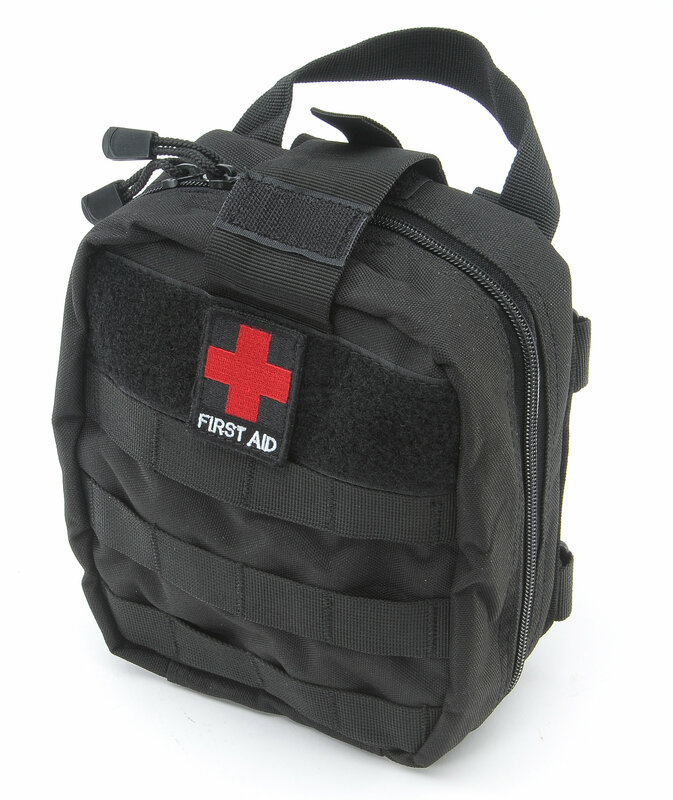 makes your First aid kit easy and fast to get to in the event of an emergency. 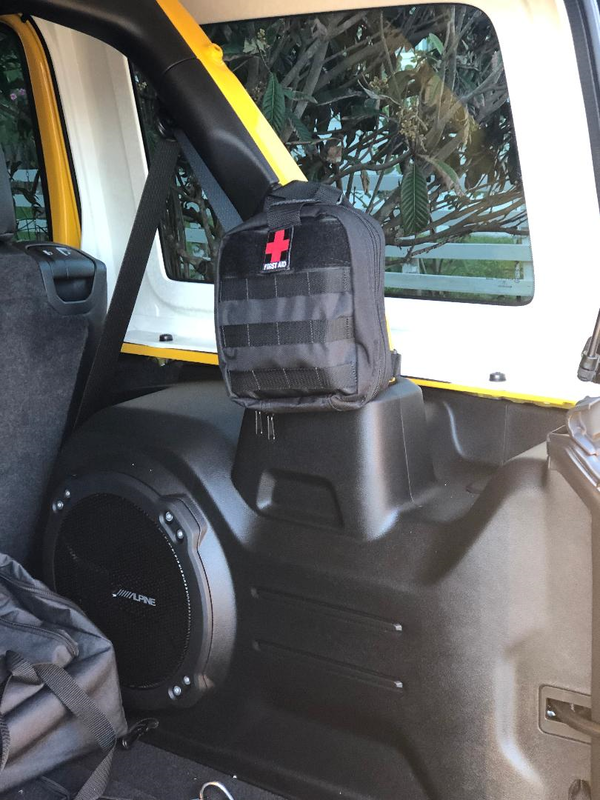 I have one mounted in the same place on both my rigs so no matter which one I or my family/friends are in they know exactly where it is without having to think about which rig they are in. 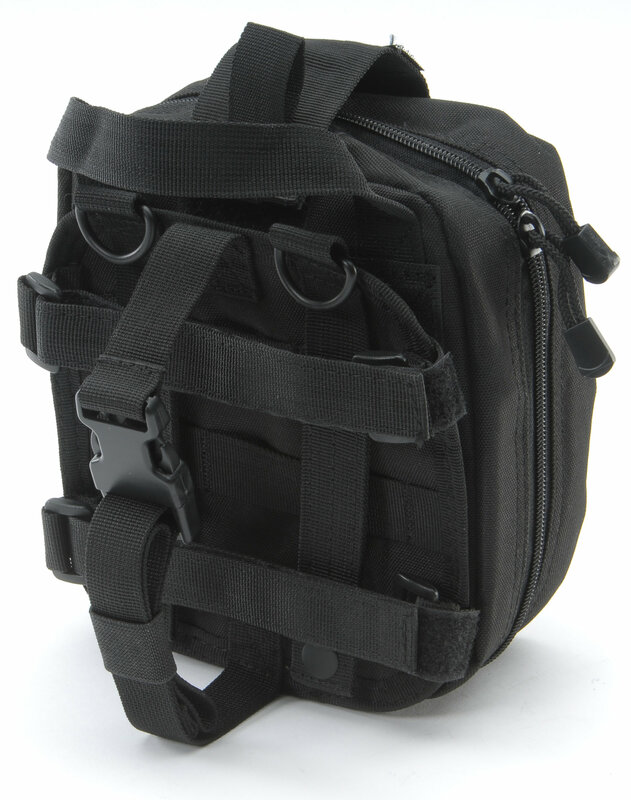 I really like this little bag. 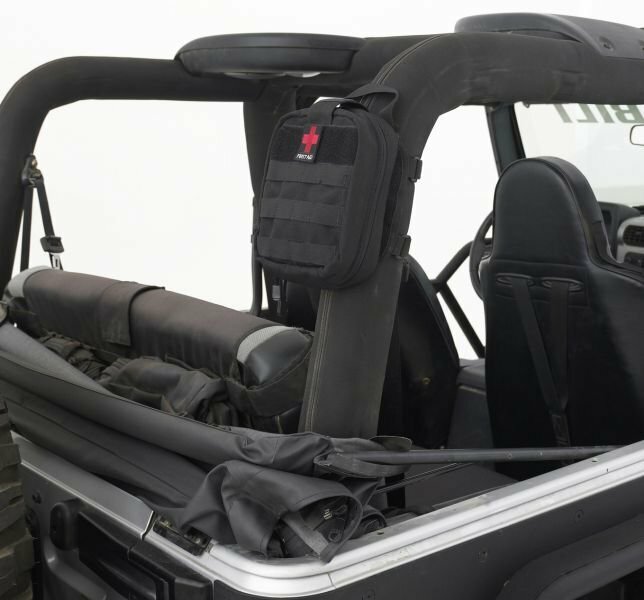 It can fit just about anywhere in your Jeep and you can even remove the first-aid emblem (it's a Velcro patch) and just use it as a bag for anything you like. 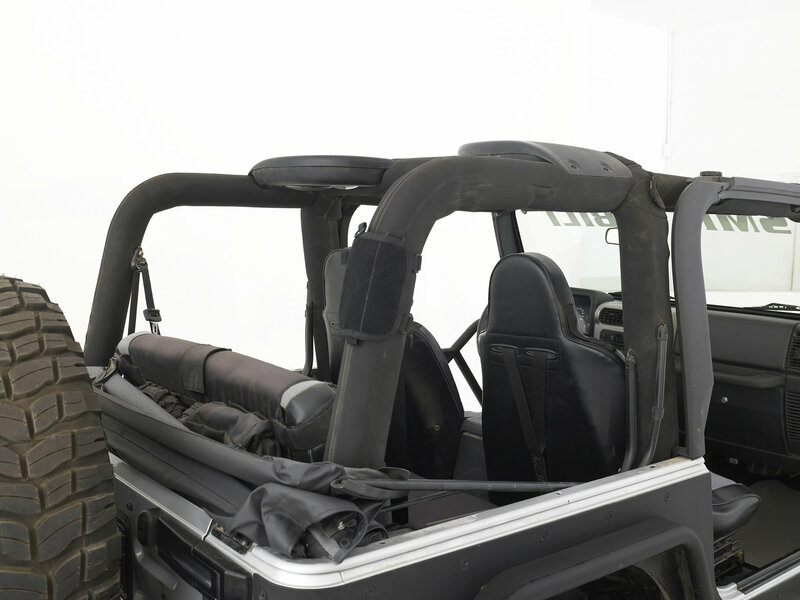 I put mine in the back at the bottom of the roll bar.